For expecting moms, preparing for a new baby can get overwhelming pretty quickly. Whether due to a busy schedule or a complicated pregnancy, having a little help never hurts. That’s where baby concierge services come into play! Here at Little Residents, we offer nursery concierge – a service in which we help stock up your nursery for baby’s arrival. But some general baby concierge services go even further! Keep reading to learn more! 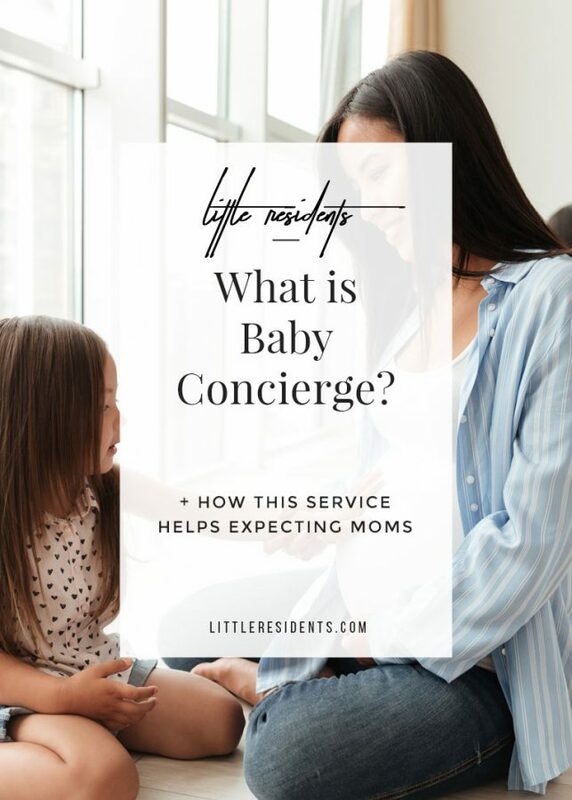 Generally speaking, baby or maternity concierge is a service that helps expecting moms prepare for their new baby, from information resources to products. This service typically includes things like: helping choose a doctor or doula, creating a baby registry, providing or scheduling birthing classes, shopping for baby products, preparing a nursery, planning a baby shower, being a resource for feeding options, and more! Company Gugu Concierge is an example of this variety! These services usually have hourly pricing, or flat rate packages! What kind of things could you have used help on during pregnancy? Would you use a concierge service?